The Vehicle Mounted Lift Truck is also referred to as the manufacturers' name of Moffett or Moffett Mounty. Truck-mounted forklifts / Moffets are usually mounted on the rear the vehicle or its platform, they can then be disconnected and used to offload their vehicle, often being able to operate on rough ground, they can also be used in places where accessibility is a challenge, like construction sites. 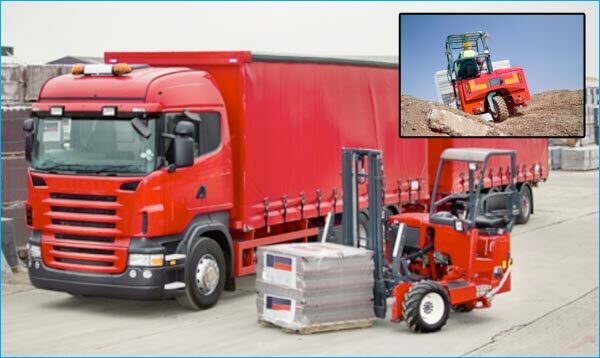 The range of truck-mounted forklifts offers lifting capacities up to 3.5 tonnes. This training not only involves how to operate the Vehicle Mounted Lift Truck safely and efficiently but also trains the trainee how to safely disconnect from the truck and re-attach for road transport. Training can only take place at client's premises.